A Tongan brass band performs in Ōtara, Auckland, in December 2010. Brass bands were well established in Tonga by the 1880s and have become a strong part of the island kingdom's musical heritage. 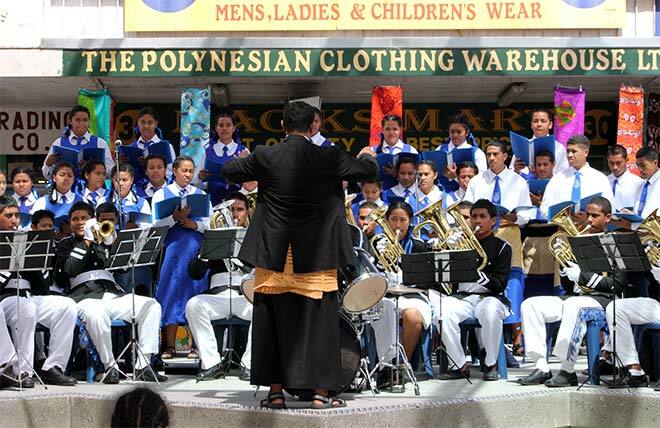 The Tongan community in New Zealand has continued this tradition with a number of active brass bands, often associated with churches or schools.